Posted on December 7, 2018 at 10:44 am. An Australian gambler has collected more than $200,000 after an epic winning streak on the pokies at Emu Casino. 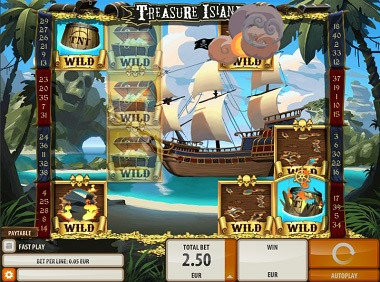 The punter’s lucky run started on September 27, 2018 and toured several different mobile pokies games, including Goldilocks and the Wild Bears. The first big win came with a $28,000 collect from a $50 bet on Treasure Island, but most of the session was spent on Fa Cai Shen. Lotto Hero is an exciting new online lottery game that dishes out $1,000,000 jackpots every hour of the day, every day of the year. Tickets cost $2 a pop and come in three varieties – Quickbet, Hero Bet and Pick My Own. Check it out today at EmuCasino.com. Punters at Emu Casino can now choose uPaycard for deposits and withdrawals. The multi-faceted payment system gives customers a number of different options, including prepaid cards, e-wallets and cryptocurrency wallets. The Emu cashier also supports credit cards, debit cards, direct banking, wire transfers and several other secure payment methods.